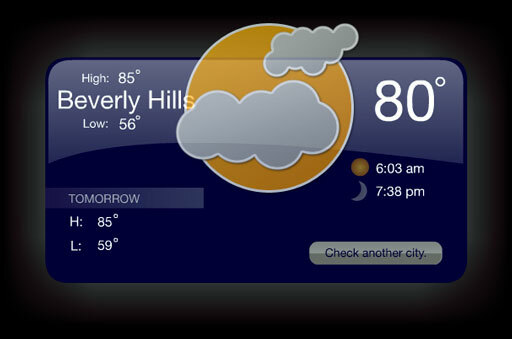 The assignment for this project was to create an application that would provide real-time weather information from any zip code the user should choose. Using ActionScript 3.0 and Object Orient Programming methodologies, data is loaded into the application via RSS feeds from the Yahoo Weather API. This data is then parsed through the application and displayed back to the user along with graphical correspondence. The Graphical User Interface (GUI) was created inside of the Adobe Flash IDE and all ActionScript 3.0 code was implemented using Adobe Flash Builder.